One of our specimens has just arrived back from a trip to St. Petersburg in Russia! 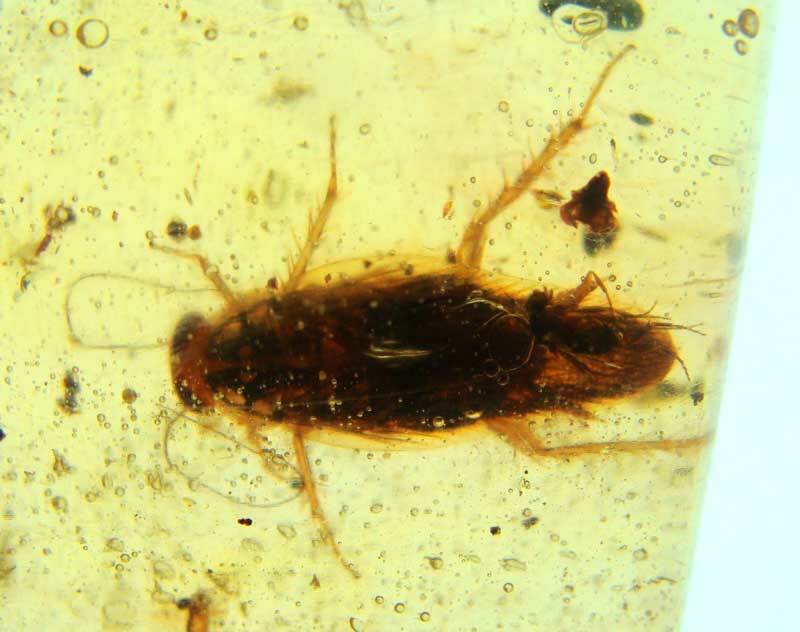 This spectacular fossil shows two large cockroaches preserved in copal (an immature form of amber). It is originally from Colombia and is around 2 million years old. Dmitri Logunov (our Curator of Entomology) offered to take it to one of his colleagues (Dr. Leonid Anisyutkin) at The Russisn Academy of Sciences in St. Petersburg so that the cockroaches could be identified. Dr. Anisyutkin, is a renowned expert on cockroaches and was able to identify them as Euphyllodromia cf. angustata. Unfortunately it isn’t a new species, but he is still going to publish his results. He could also tell the cockroaches were female, which is nice to know! We hope to get this specimen out in one of our public programmes in the near future. I’ll let you know. David Green and I have just got back from Wigan and Leigh College geology museum. There are quite literally just days before the museum closes and the collection disappears. We collected about 100 fossils, particularly things like graptolites, Solnhofen fossils and trilobites, all things we will be able to use in the museum for things like education, exhibitions and public handling. Some of the collection will be taken to the World Museum Liverpool in the next few days and it is looking like a couple of the schools in the region will take much of the rest of the material. We met the geology teacher form Altringham Boys Grammar today, who had come to look at what they might be able to use there. A group from Altringham Boys Grammar have previously been the museum to do our A-level geology workshops, so it was good to see a familiar face. 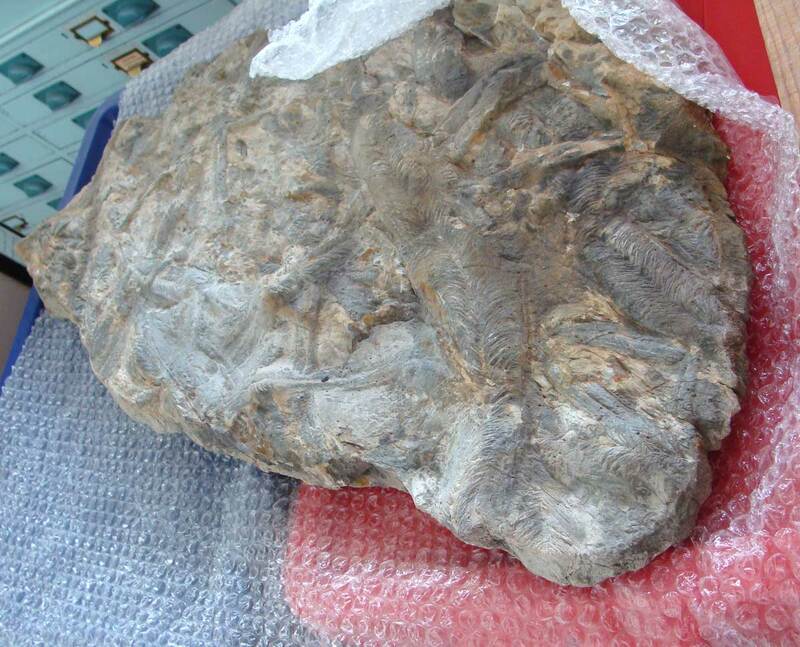 So it looks like the vast majority of the fossils will be going to good homes. Excellent news! 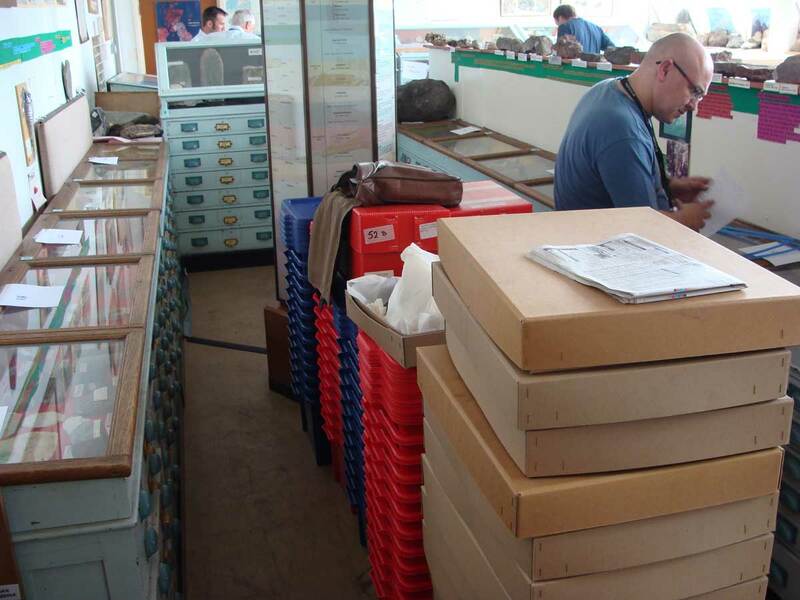 The next job is to sort through the material we have rescued and find a home for each of the specimens. Look out for some of these fossil in the coming months. I’ve had an old inquiry passed on to me that was never collected. It is quite interesting as it is not what it first seems! This spectacular specimen looks like amber, which when you dig a little deeper is actually fake. 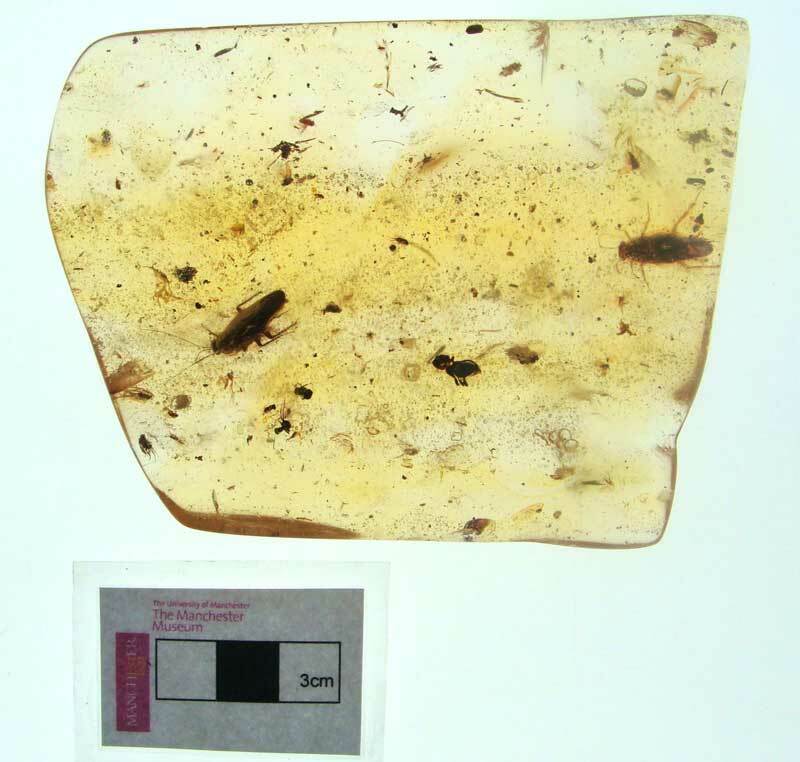 Amber is fossil tree resin which forms lumps and often traps insects and other bits of debris. The big give away with this specimen is that it is the shape of a quartz crystal, a shape that would never naturally occur. Fake amber is a big industry. You only need to look at Ebay to see an array of fake specimens for sale (mostly from China). Most of the fakes are plastic with a few insects thrown in for good measure. One of the best ways to tell fake amber is to see if it floats on water – amber always floats, plastic usually sinks. 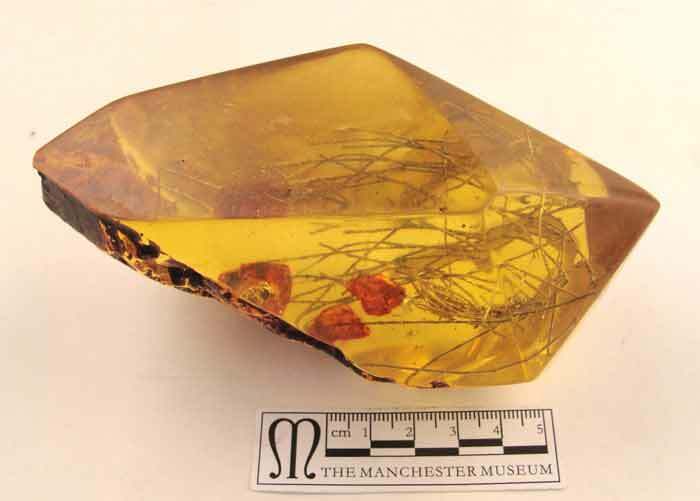 I had a really interesting e-mail this morning from a researcher called Rachel King about some amber we have in the collection. Rachel came to look at our Paneth Amber collection last year. Alfred Paneth was a Jewish Chemist who lived in Königsberg, Germany when the Nazi’s were coming to power. One of his passions was collecting amber. In 1933 he went on a lecture tour to Britain and never went back to Germany. Rachel’s e-mail was about a small salt cellar. She has come across a factory product list from a state owned amber factory. It seems to date from round the time Paneth was in Königsberg (1929-1933). The factory also sold portraits of Hitler and Göring in amber!